This article is the third part in the series dedicated to share my “knowledge” about the city of Beijing. After suggesting 10 alternative plans and indicating the things you should avoid doing in Beijing, today, I wanted to do a review of, in my opinion, the best restaurants in the west part of the city, that is, the Haidan district (or university district). This area is excellent for tasting ethnic Asian food and since I have lived here more than four years, I’m quite familiar with the district. So, just enjoy! 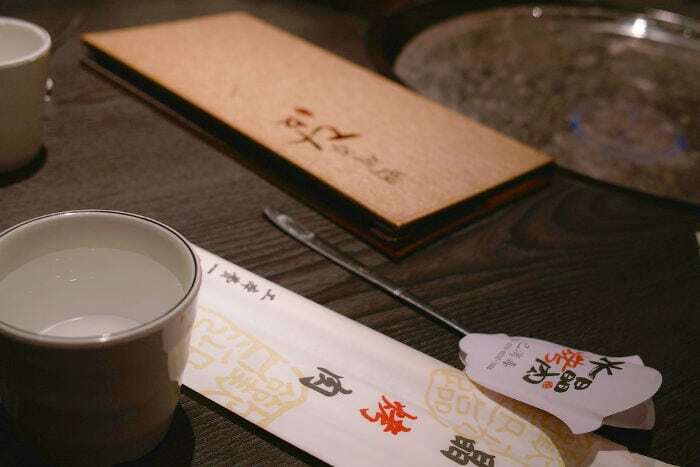 On this list, you will find the name of the restaurant, the type of food, the approximate price, the address in Chinese (so you can show it to the taxi driver), some recommended dishes and a short review. This area, located close to Weigongcun subway station, is one of my favorite areas to go out to eat. There are a large number of universities (at least six together), and among them is the well-known Beijing Foreign Studies University (or Beiwai) and The Ethnic University (or Minzu). 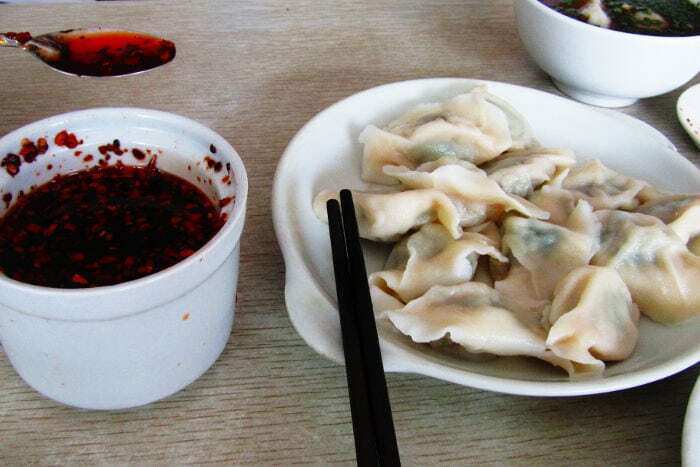 Even though I have only selected a few restaurants, I recommend that you walk along Weigongjie (魏公街) street, which runs along the edge of Minzu University and find the restaurant of the Chinese ethnic minority that you most like (Dai, Uyghur, Korean, Mongol, etc.). Recommended dishes: Roast duck (烤鸭, not to be confused with Peking duck), fried bamboo (东坡竹笋) and spicy dandan noodles (担担面). 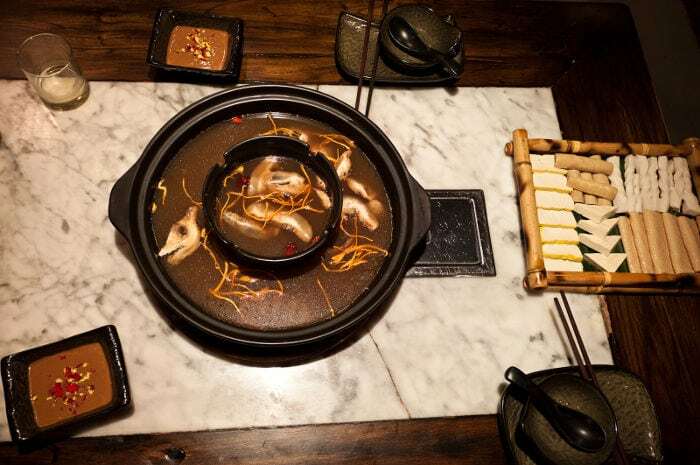 Review: Meizhou Dongpo is one of the most important restaurant chains in the city and offers an excellent selection of dishes. However, as with all restaurant chains in China, not all restaurants offer the same quality of food. Among all of them that I have tried in Beijing, this is by far the best. The restaurant offers two categories of food: the first being small, cheap dishes (open 24 hours a day) and the second being the menu with more elaborate dishes. In summer, starting at 10 pm, they also offer delicious barbecue skewers. Recommended dishes: The pork knuckle, fried chicken skin, fried mushrooms and fried chicken with lemon grass. Review: This small and pretty restaurant is one of my favorite restaurants from the Yunnan province. While its selection of dishes isn’t very large, they all are of excellent quality. Recommended dishes: Fried rice noodles (炒米线). Review: This restaurant offers an enormous selection of typical dishes from Yunnan and excellent quality. For the most adventurous of you, here you can eat various types of fried insects. Recommended dishes: The roasted meat and mashed potatoes. Review: Even though I’m not a big fan of Mongolian food, I have to admit that the roasted meat in this restaurant is particularly good. Recommended Dishes: Stir-fried shredded potato (炒土豆丝). Review: This restaurant, managed by a family from the Sichuan Province, offers an enormous selection of homestyle Chinese food. Its prices are excellent and up to this date, I haven’t tried any dishes that haven’t been good. If you can’t handle spicy food, this isn’t the restaurant for you, as the cook is from Sichuan and always likes to slip some sort of chilis into the food. Review: This modest restaurant, run by a “voluminous” immigrant from northeastern China (or Dongbei), is to this date the restaurant where I have eaten the best jaozi in China. Note that the jaozi here are boiled and not steamed. Recommended dishes: Chicken or pork schnitzel (奶酪炸猪排 o 奶酪炸鸡排) and the curries (咖喱饭). Review: This small restaurant, located in an alley behind Beiwai University, is my favorite place to eat Japanese curry. There are many tasty dishes, but I don’t suggest the makis, sushi or sashimi. In this section, I have included both restaurants on the east and west sides of Renmin university. Recommended dishes: “Chinese hamburger” (肉夹馍) and noodles dishes. Review: This small restaurant, with two lions at its entrance, is one of the best places to eat fresh noodles. 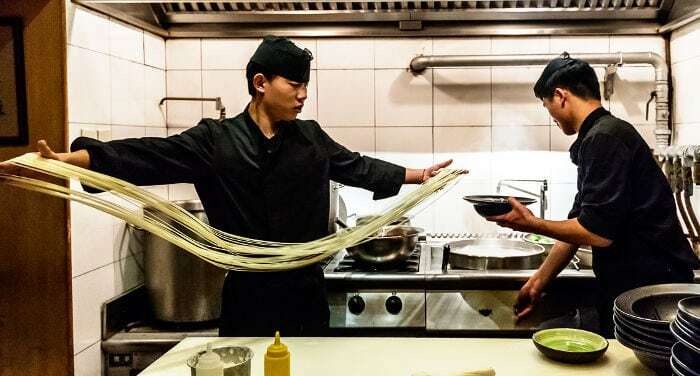 Here you can see how the waiter turns a ball of dough into delicious noodles right in front of you. Recommended dishes: The chicken with pu’er tea (普洱鸡) and the fresh mushroom dishes. Review: Of all of the Hotpot restaurants, this is my favorite, as it mixes excellent ingredients from Yunnan (most of all mushrooms) with this typical Chinese dish. Recommended dishes: Lamb chops (羊排), cuttlefish (鱿鱼). Review: This restaurant, located on the fifth floor of the Bagou shopping center, offers a variety of the Korean barbecue dishes and is an excellent place to eat meat and seafood prepared in a way similar to in the West. Known as the electronic city of Beijing, this area is filled with technology companies, electronics stores and cafés packed with nerds with their computers. It’s an area worth seeing. Recommended dishes: Noodles with dried green beans and pork ribs (干豆排骨铁锅). Review: This restaurant offers fresh noodles cooked in the style of the Shaanxi province (whose capital is Xi’an) and is simply delicious. Recommended dishes: Lanzhou-style cold noodles (西北酿皮) and roast lamb. Review: This restaurant is to date the best Lanzhou restaurant that I’ve found. Even though its dishes are similar to the food in Xinjinag, is has some dishes typical of the remote province of Gansu. Recommended dishes: Any of its specialities. Review: This chain of restaurants offers small dishes typical of the Nanjing area with an excellent Qing Dynasty atmosphere. It’s packed and noisy, and not a good choice for dates : ). This area is famous for its bars and clubs, where foreign students distract themselves from their studies. The Korean community is very abundant and because of that, this is one of the best places to try that type of food. Recommended dishes: Rice cooked in a glass barbecue. Review: This restaurant belongs to a Korean food chain, but because the Korean community in Wudakou is quite large, they have had to enforce much higher quality standards than in other establishments. The barbecue, done in glass rather than in metal, adds a special touch to the food. Recommended dishes: Chicken wings and beef with onions. Review: In my opinion, this is the best Cantonese food restaurant in this part of the city. Recommended dishes: Sushi, makis and sashimi. Review: This is my favorite Japanese restaurant to eat fresh fish at a good price. This area, located between Tsinghua University and the Ancient Summer Palace (Yuanmingyuan) has, in addition to hundreds of bicycle and scooter stores, a good selection of cheap restaurants. Recommended dishes: The chicken wings and frog skewers. Review: This small restaurant is for me, one of the best places to eat barbecue skewers. If it doesn’t disgust you, the roast frog is delicious. Well, that’s all for today. I hope you like my selection.